If you’re considering buying a Turks and Caicos vacation home, there may be a lot of factors that are playing into your decision. You may want to choose a place that has a different climate than your hometown, or you may want to ensure you are close to family members who can join you at your getaway spot. One place to consider buying a vacation house this year is in South Caicos, at Sailrock Living. Not only will Sailrock afford you the opportunity to have a brand new vacation home in a stunning beach local, it will also offer you a slew of opportunities to experience unrivaled luxury–both in your home and around the island. 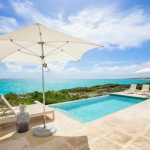 Here are some of the most luxurious and sumptuous features you can take advantage of with your Turks and Caicos vacation home. One of the best parts about South Caicos, the location of Sailrock Living, is that it is a place that offers you great vacation weather, no matter when you decide you need to get away. The weather in South Caicos is excellent nearly all year round. The highs range from 80 to 90 degrees, and locals say that the islands get about 360 days of sun per year, regularly. This means that you can Invest in a vacation property that allows you to take full advantage of the outdoors as often as possible, including for pampering and rejuvenation. With a Sailrock Living beachfront villa, you can even have an outdoor shower that is secluded in full privacy. An outdoor shower gives you the opportunity to feel refreshed and relaxed in the tranquility of nature, but still enjoy the privacy of an intimate retreat. Sometimes you don’t want to have to go far to take a dip in the ocean. When you have a home at Sailrock Living, you can have immediate beach access, just steps from your home. If you love to swim or lay on the sand, then having immediate beach access is a luxurious must-have amenity. Having beachfront access is also a plus if you love water recreation or water sports. 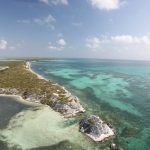 South Caicos is known for being one of the most stunning places to snorkel in the world. So, with a vacation home on the shore, you can get a glimpse of stunning aquatic life whenever you’re in the mood. There are endless fresh, inventive ingredients to cook with in Turks and Caicos. When you build your own vacation home at Sailrock Living, you can include a chef’s kitchen, which will give you the opportunity to regularly make elaborate, delicious meals. Some ingredients you’ll find fresh and plentiful around the island are conch, snapper, lionfish, and sea grapes. Incorporate a high-quality gas range, multiple ovens, tons of counter space and more to make your vacation home a luxury culinary retreat. If you’re ready to dive in and purchase your vacation home, get in touch with us at Sailrock. We can talk to you about your wants and needs for a property or home, then talk you through the process of picking out what’s just right for you. To learn more about what amenities and features you can enjoy when you’re here, take a look at our website or browse our blog.